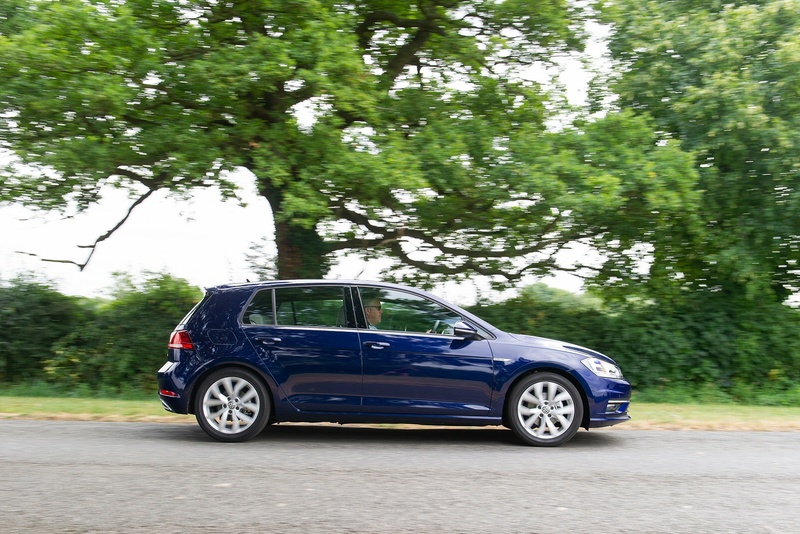 Volkswagen's Golf is the family hatchback against which all others are judged - and in seventh generation form has proved to be the best selling version of this car ever made. Now it's got a smarter look, an all-new 1.5-litre TSI engine option, more sophisticated media connectivity and a range of important detail changes. If you're shopping in this segment, you might be asking yourself why you should buy a Golf. But perhaps the more pertinent question is whether there's now really any reason why you shouldn't. 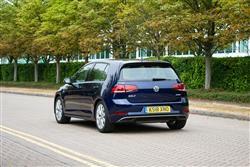 Volkswagen's modern era 'Peoples' Car', the Golf family hatchback, has been bought by an awful lot of people. Launched back in 1974 to replace the iconic Beetle, it was the model that saved the company through 29 million sales and six generations that brought us to the MK7 model that launched here in 2013. 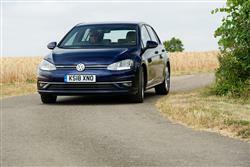 This seventh generation version has sold very well for the Wolfsburg brand, but in recent times, the launch of tough new rivals like new versions of Vauxhall's Astra and Renault's Megane has caused some in the market to wonder whether the premium required to own a Golf in the family hatchback sector is really worth paying. This improved version is Volkswagen's response. Plusher, safer, smarter, more efficient and higher-tech, its goals actually lie beyond simply being better than a Focus or an Astra. 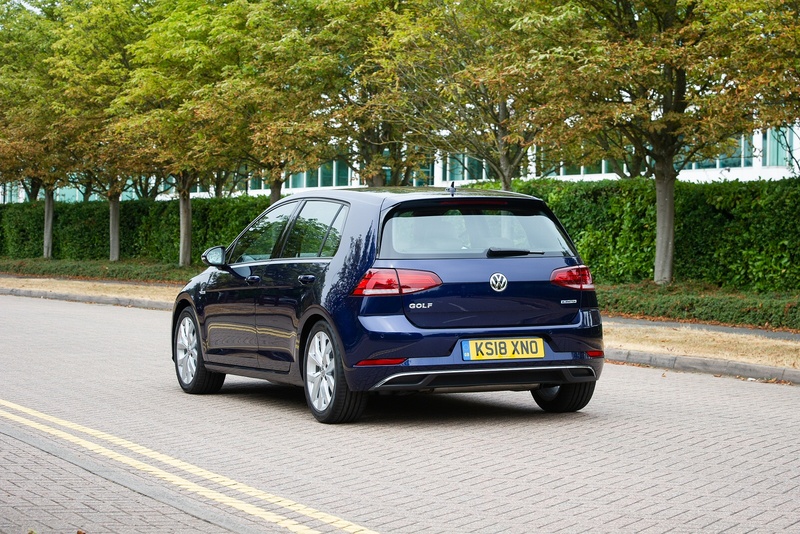 This rejuvenated Golf also aspires to appeal to buyers who might be considering premium-badged compact hatches from brands like BMW, Audi or Mercedes. Which gives you an idea of just how good Wolfsburg thinks this car is. Are they right? Let's find out. At the foot of the range, there's the well-regarded 1.0-litre TSI petrol unit, a three cylinder powerplant developing 115PS. Next up is the 1.5 TSI EVO petrol engine, offered in either 130PS or 150PS guises. The GTI Performance hot hatch offers 245PS and the top Golf R 4WD super hatch delivers 310PS. Many Golf buyers though, still want a diesel - possibly the 115PS 1.6-litre TDI diesel, but more probably the 2.0-litre TDI, available with either 150 or 184PS. With most engines, a 7-speed DSG auto gearbox is optional. As before, only variants developing more than 120PS get multi-link rear suspension: below that level, your Golf will come with a less sophisticated torsion bean set-up. 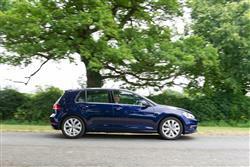 As before, there's a 2.0-litre turbocharged 4WD Golf R super hatch model at the top of the range. Or, for the same kind of money, a Golf GTE plug-in hybrid model. Want the lowest possible running costs? Then you need the all-electric e-Golf. Either way, it seems Volkswagen has almost everyone's preferences covered. In the family hatchback segment, there's still nothing quite as classy-looking as a Golf. Many variants now get full-LED headlamps and jewel-like LED tail lamps are standard across the range. On top versions, there are smart animated flowing indicators too. 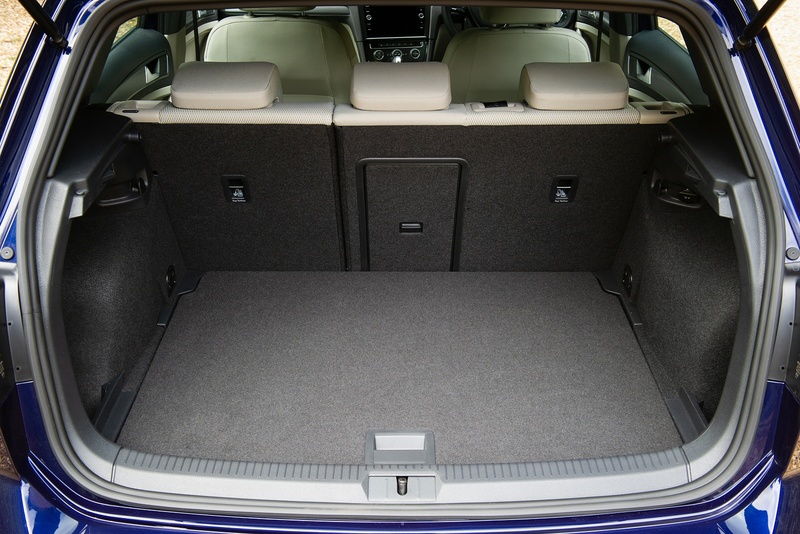 As usual, there's a choice between three or five-door hatch and estate bodystyles, both of which sit on the Volkswagen Group's light, stiff and very sophisticated MQB chassis. And behind the thinner multi-function steering wheel? Well, as ever, nobody does it better than this. 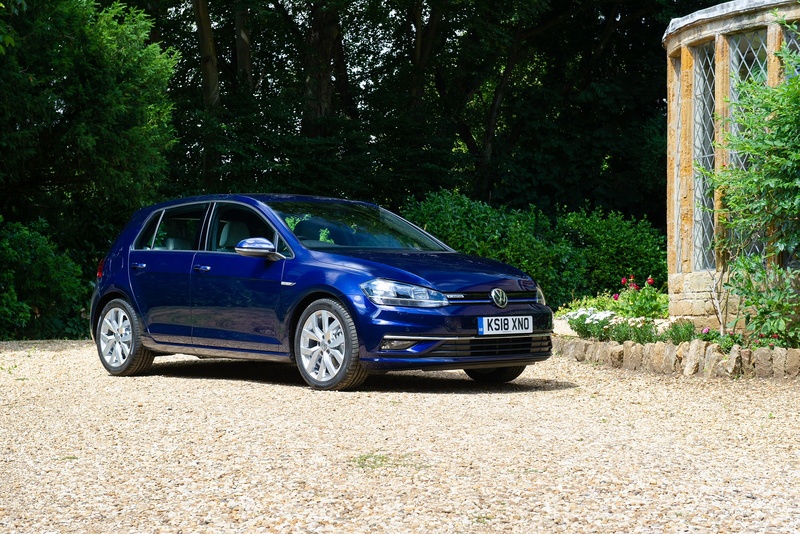 It isn't that it feels especially plush, though the quality of materials used is excellent - and far better, incidentally, in this Wolfsburg-constructed Golf than Volkswagen's similarly priced but Mexican-built compact Jetta saloon. It's just that everything is of just the right quality and feels absolutely fit for purpose. 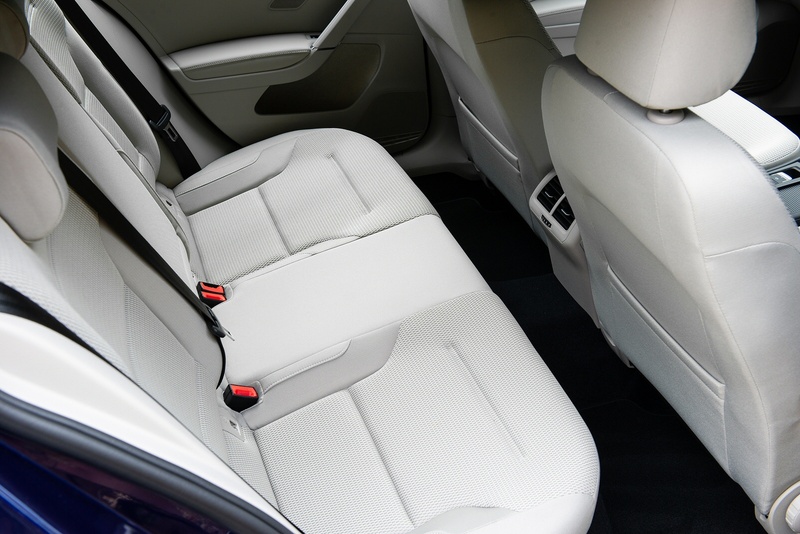 In recent times, the cabin has been given a lift by the addition of smarter decorative trim panels on the doors, the dash panel and the centre console, as well as classier seat covers. 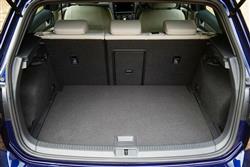 Out back in the hatch version, there's a 380-litre cargo bay that's much bigger than that provided by rival Focus and Astra models. It can be extended to 1,270-litres if you push forward the rear seats. The UK line-up retains a familiar feel, beginning in the hatchback range with S and rising through Match, GT, R-Line, GTE, GTE Advance, e-Golf, GTD and GTD BlueLine to GTI Performance and, ultimately, R. As before, Golf prices sit in the £20,500 to £35,000 bracket. There's a £655 premium to go from the three-door bodystyle to the five-door bodyshape that 90% of British buyers choose and from there, you get the option of finding a further £700 more for the estate bodystyle if you want it. As for specification, well even entry-level 'Match'-spec models get alloy wheels, front fog lights, tinted rear windows and the brand's 'Discover' navigation on an 8-inch 'Composition' centre-dash colour touchscreen as standard. Plus there's the option of a really sophisticated 'Discover Pro' monitor, this being the first Volkswagen infotainment system to offer both touch and voice-command operation, with gesture control in addition to proximity sensors. Your dealer will also want to tell you about the clever 'Media Control' app that can be used if your Golf's infotainment set-up incorporates a wi-fi hotspot. Passengers simply connect in their 'phones or tablets via the app, then the entertainment system can be operated from anywhere in the car. As you'd expect, there's full 'Apple CarPlay' and 'Android Auto' compatibility so you can link in your smartphone and use your favourite apps in-car. And we like the new 'Security & Service' package that can automatically alert the emergency services in the event of a breakdown or an accident, book servicing and even advise you if the car is driven beyond a certain area, should you lend it out. When this seventh generation Golf was originally launched, its efficiency figures took a big step forward, thanks to the lighter MQB chassis. Those returns still look pretty good today: the 1.6-litre TDI 115PS engine is capable of returning CO2 emissions of 108g/km and well over 70mpg in regular use. 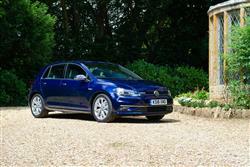 Go for the 2.0 TDI 150PS variant and the figures are 109g/km and over 67mpg. What about petrol power? Well the base 1.0 TSI petrol unit puts out only 109g/km of CO2, while the 130PS 1.5 TSI EVO variant puts out just 113g/km of CO2 thanks to its use of Volkswagen's frugal Cylinder-on-Demand technology. In its 150PS form, Volkswagen reckons that this unit will return close to 50mpg on the combined cycle and 119g/km of CO2, figures not too far off what you'd get from some diesels. We're big fans of the plug-in hybrid GTE variant, which combines a 150PS 1.4-litre TSI petrol engine and a 102PS electric motor. This variant claims a combined fuel economy figure of 166mpg and emissions of 39g/km and can travel up to 31 miles on all electric power. But of course that's nothing compared with the all-electric e-Golf variant, which offers a range of up to 186 miles from a full charge that can be pretty much completed in just 35 minutes through a combination of the car's special CCS combined charging system and a DC supply. If you�re looking for a new Volkswagen Golf 1.0 TSI S 3dr Petrol Hatchback for sale, you�ve come to the right place. At Bristol Street Motors we don�t just have the best Volkswagen Golf 1.0 TSI S 3dr Petrol Hatchback deals, we also offer friendly advice and help with all your enquiries to ensure your buying experience is a happy experience.